Waste Land, a remarkable film by Lucy Walker, is engrossing, disturbing, inspiring and hopeful, all at the same time. 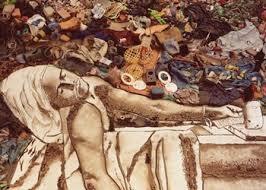 It tells the story of Brazilian artist Vik Muniz’s lengthy project of making portraits of catadores, garbage pickers at the Jardim Gramacho landfill in Rio de Janeiro. 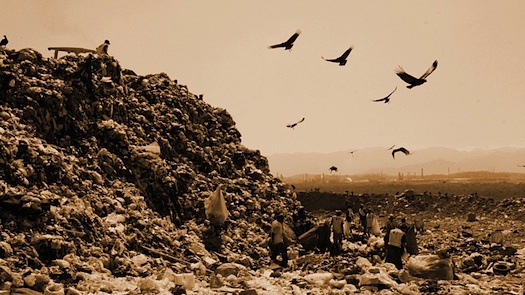 The landfill itself is massive and horrifying, and the jobs of the pickers – sorting through mountains of garbage to collect recyclables – seems too awful to imagine. Yet they are cheerful, if not happy, and they’ve created a supportive community for each other. 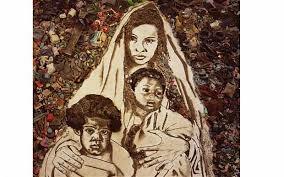 Muniz makes a series of portraits of catadores in poses borrowed from famous paintings, and he uses the recyclable materials from the landfill as his medium. The Catadores themselves help him to make the portraits, and they travel with him to sell them at the most prestigious auction house in London. They're bright and brilliant and engaged in the creative process as a way to escape the garbage or a way to look at it in a different light. Walker says, "Just as Vik wants the portraits to serve as a mirror in which the catadores may see themselves, so I hope the movie serves as a means for us to see our journey to becoming involved with people so far from ourselves. To zoom all the way in to caring about someone who was previously as far away as it’s possible to be. Questions poke through the fabric of the movie as things get messy. In Waste Land, Vik and his wife start to argue on camera about whether the project is hurting the catadores by taking them out of their environment and then, when it’s over, expecting them to return." Waste Land reminded me of a film by Agnes Varda called The Gleaners and I. Varda, who is wonderfully curious and engaging, shoots a documentary about gleaners, people who follow after the harvest has been collected, to pick the fruit that was left behind. 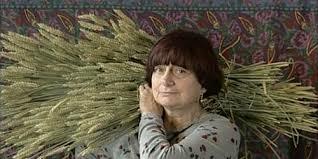 Varda shows people who find food and other treasures in vineyards, fields, and urban markets. Some live on the food and money they make from the objects they find. Some turn them into art. 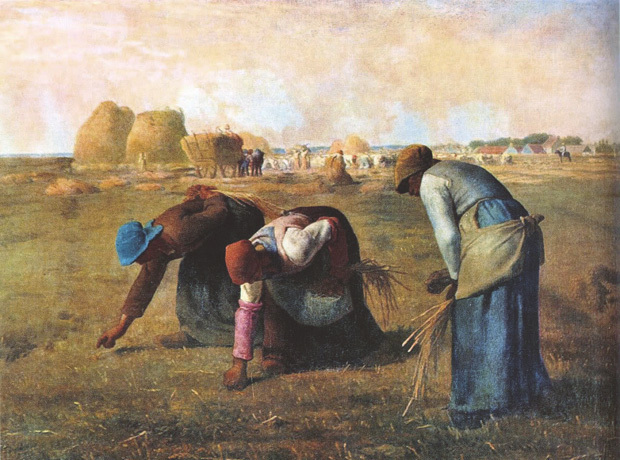 The film is a history of gleaning, a portrait of gleaners, a meditation on aging, a subtle examination of the artist as a gleaner, of the documentarian as a person who collects treasures from the world around her. Both films are about excess and waste, beauty and love. They are about the strength and fragility of people – in body and spirit. In both films, many of the people we meet have been living in this way, literally on the outskirts of society, since childhood, even for generations. They’re bright and energetic and resilient, but both films are permeated with an atmosphere of mortality and decay. 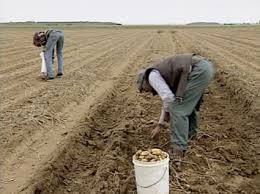 The stories of the catadores and the gleaners remind us that life is fragile, and our position in society is more so. The subjects of these films have built their own community to protect each other, and care for each other, to feed each other – they’ve built libraries and learning centers. Aunt Irma has set up huge pots in Jardim Gramacho, and she cooks for the pickers, using food thrown away by grocery stores and restaurants, brought to her as fresh as possible. She seems so happy with her life, and her role of feeding her friends. Both films contained layer upon layer of meaning and beauty and emotion.